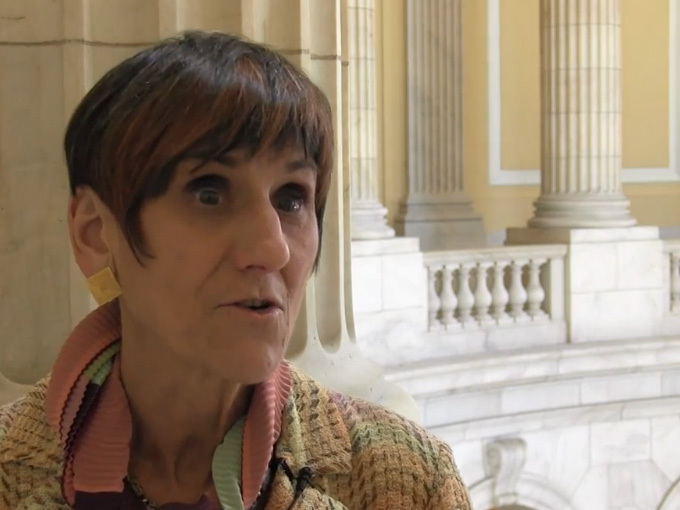 U.S. Rep. Rosa DeLauro, D-3rd District, said Thursday she will support the Iran nuclear pact. With the announcement, the New Haven congresswoman joined most of Connecticut’s delegation in backing the deal. Sen. Richard Blumenthal and 5th District Rep. Elizabeth Esty remained undecided as of Thursday afternoon. The United States and the other four permanent members of the United Nations Security Council plus Germany, struck a deal with Tehran on Iran’s nuclear program on July 14 in Vienna. On July 20 the UN Security Council adopted a resolution endorsing the deal. DeLauro called the agreement “a historic, diplomatic accomplishment” that will disarm Iran’s nuclear weapons program and provide oversight. DeLauro dismissed critics who charge that the deal does not hold Iran accountable for its support of terrorism and for human rights violations. DeLauro also rejected arguments that the U.S. should reject the deal in hopes of striking a better one. Congress has passed legislation that would allow lawmakers to block U.S. implementation of the agreement. That vote will occur when Congress returns from its summer break in September. Because nearly every Republican opposes the agreement, there are enough opponents of the Iran deal to pass a resolution of disapproval in the GOP-controlled U.S. House of Representatives. The fate of that resolution is unclear in the Senate, but President Obama is expected to veto the measure if it is approved by both chambers.